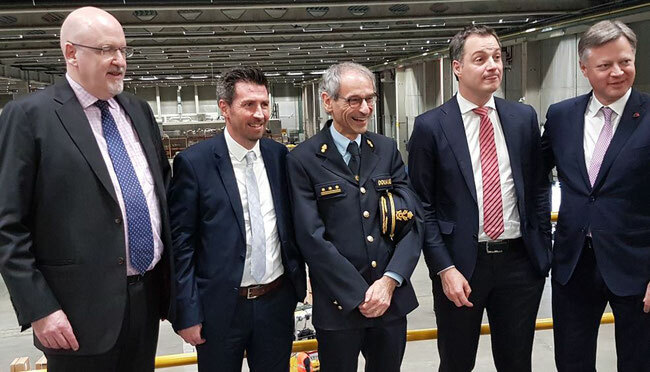 DHL Aviation is the first company at Brussels Airport to obtain a license for the BE-GATE e-commerce customs clearance portal of the Belgian customs authority. Upon its launch, Belgian Finance minister Alexander De Croo said that BE-GATE is a vital instrument for swift e-commerce flows in Belgium. At Brussels Airport some 250,000 packages are handled daily. The number of weekly customs declarations has risen from 47,789 in 2016 to 55,548 this year (+39.25%). BE-GATE uses the same data set for all (e-commerce) consignments through secured data transfer and uniform risk analysis. BE-GATE owes a lot to the expertise built up by the customs authorities at Liege Airport, who have been used to clearing TNT (now FedEx) consignments for years. “As we did not want to reinvent the wheel, we expanded it into a nationwide tool,” the customs administration claims. Within the administration it is no secret that the ‘landing’ of Alibaba at LGG has sped up the process. To date the Belgian Customs Administration has received 12 BE-GATE applications. Of these 7 have been granted, 6 of which are still in the auditing phase. Of the applications 5 were received in the Liege customs office, and 5 in the office of Leuven, which is responsible for Brussels Airport. Am I right or wrong ???? Thx for addressing us. So far it didn't come to our ears that DHL (Express? Supply Chain? Aviation?) intends to offer customers ramp handling and ops at London Heathrow as they do at Gatwick.